anyone one else doing kriegsmarine fancy meeting up for an event this year? Been doing a U-Boat Kapitanleutnant for about a year now and seem to be only one knocking about! Dont worry, you are not alone. Das Medic, Nick Beardshaw, has been doing U-Boat crew for years, a decade at least. They had a full conning tower mock up they would take to shows. There are a few KM impressions aside from Uboat floating around the scene. 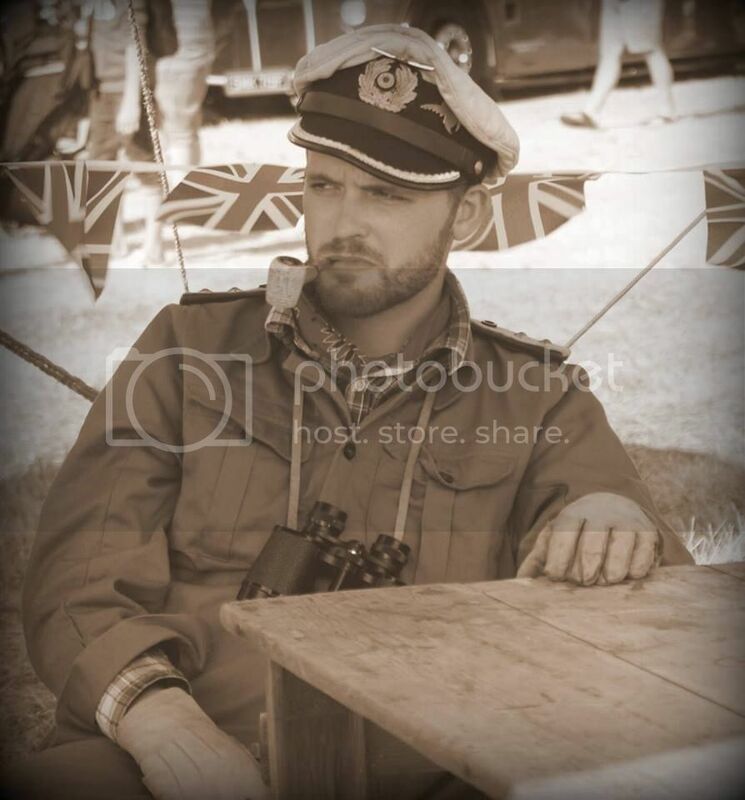 There were some guys at Yorkshire Wartime Experience yesterday in KN blues. There are a couple of Coastal Defense uniforms about the scene. the tower keeps turning up on milweb for sale, last time it was at £5k. i'm interested to complete the "Tropical Trilogy" by doing one for KM. Possibly a coastal artillery one, but tropical uniforms are very modular and can fit any scenario. Pity about the u-boat group.